YONKERS, N.Y. (WABC) -- The fourth young men charged in a Yonkers Burger King parking lot shooting that killed a 23-year-old Major League Baseball prospect pleaded guilty during a court appearance Wednesday. 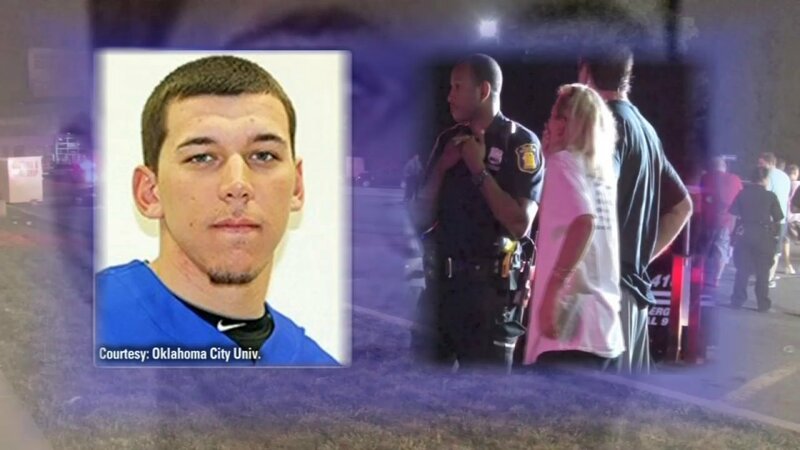 Mike Nolan, who was drafted by the Oakland Athletics in the 18th round of the 2014 draft, was shot in the head in September and was declared brain dead about a month later. The suspects -- 18-year-old Nashaun Hunter, 23-year-old Garth O'Neil Cole, 19-year-old Darren Dawson and 23-year-old Tejmitra Sing -- were arrested the following March. Cole pleaded guilty to on count of second-degree criminal possession of a weapon, one week after the other three did the same to various charges. Hunter, facing the most serious charge of murder, accepted a plea bargain reducing the charge to first-degree manslaughter. Singh and Dawson pleaded guilty to first-degree assault. Hunter is expected to be sentenced to 25 years, while a conviction would have meant 25 years to life. An extensive investigation by the Yonkers Police Department and the Westchester County District Attorney's office revealed that the shooting was in retaliation for the beating of an individual known to the suspects and related to events that took place during a drag race two nights before the shooting. Police say they don't know if Nolan was the intended target, but they acknowledge he was part of the group involved in the fight. Shell casings were found at the scene that matched the bullet recovered from the victim's body.